This gamer has a projector set-up in his game room, and he beams his maps right onto the table! Wow. That is sweet. A recent addition to my game set-up is a lazy susan. It’s a round tray on rollers that lets me spin my laptop around so I can show my players graphics and maps. I have yet to playtest it though. The project and lazy susan make me think there are a lot of cool ideas out there to enhance or improve game rooms and the gaming experience. If you have any interesting game room toys, tools, arrangements, or whatever, send me an email. It would be neat to let Tips readers know what ideas are out there that they might apply to their own set-up. Well, have a game-full week. I’m going to visit that link again and drool over that projector set-up some more. How To Track PC Stats? 7 Tips. Tracking character stats during the game, such as armour ratings, skill scores, and wounds, is a bit of an art, but it has many benefits. I find asking for minor skill checks and other types of dice rolls can sometimes cause delays in a game session out of proportion to the importance of the roll. In the worst case scenario, players need to be recalled to the table, they need to be told what they’re rolling for, they need to do some calculations, and they need to let you know the final results in an orderly fashion. Sometimes, it’s faster and easier to do the rolls and calculations yourself. There are benefits to making mysterious rolls behind your screen as well. As for storytelling, when I’m GMing I find that I often get into a zone where the words and ideas flow, I have a flexible vision of the current plot thread, and I’ve managed to capture the player’s imaginations and hold their attention. A group or player skill check can interrupt this flow and kill my zone pretty quickly, whereas if I make the rolls myself, I can keep the zone going with only a minor pause. Also, secret rolls are made more effective when the GM doesn’t need to poll the players each time about their PCs’ details. Part of encounter management depends on matching challenge levels with current party abilities. What seemed like an easy encounter during the planning stage could become a party killer or stumper if the PCs are unexpectedly depleted for some reason. Knowing the PCs’ statuses at any given time can help you adjust things on the fly without breaking the players’ sense of disbelief. Following are some tips and ideas for tracking PC stats. This will vary by game system, but the primary goal is to reduce non-strategic, time-consuming player dice rolls and calculations.Often, player rolls are needed and/or benefit the game. 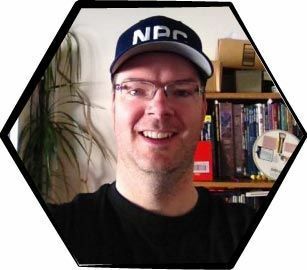 The points of drama as the dice settle, the excitement of taking a chance, the sense of control players get, and the game- aspect of roleplaying are good reasons for letting players make their own rolls. I call these strategic reasons. Think about what dice rolls you often request for non- strategic situations, secret rolls, and immersive moments. The PC stats involved during these times are what you should aim to track on an on-going basis. Sensory data; how good are the PCs at seeing, searching, and listening, and how easy is it to see, hear, and find the PCs from a foe’s point of view? Sometimes you get overwhelmed by details, especially if you’re running a complex or numbers-heavy game system. To battle this, try to keep what you track at as high a level view as you can. For example, I prefer not to track current hit points, but instead keep abreast of general health levels. As a compromise between tracking health and too much detail, I just want to know if any PC is about to drop so I can hold back any potentially lethal damage if I deem that necessary. As part of my GMing style, I prefer to maintain as much control over PC life or death as I can to protect the players from bad GMing decisions, poor player decisions, and rotten luck. I don’t track running hit point totals. Instead, I try to ask the players how their PC is feeling after each bout of damage as often as necessary. This keeps the number talk out of the game while still keeping me in the loop. The other tips in this article focus on tracking format, as that’s one of the biggest challenges and matters of preference involved in this exercise. Be aware that most formats require some heavy, up-front data entry. Depending on your approach, this can cause game delays, GM time consumption, or unhappy players. Think about how fresh you want your data to be. Do you need to track anything completely in-synch with in-game changes? Is there a natural break-point when you can do updates, such as between sessions, during game breaks, or when characters level up? Does the format you chose allow easy updates? One option for tracking PC stats is a computer spreadsheet, such as Excel, Lotus 123, or OpenOffice. Many tips in previous ezine issues have covered the use of spreadsheets, and they’re definitely a great way to go. I’m using a spreadsheet myself in my current campaign.With a spreadsheet, you can take advantage of calculated values. There will be some tips on this in an upcoming issue from an ezine reader, so stay tuned for that. If you have computer access during the game, then a spreadsheet is great way to go as it’s easy to scan and find data, it’s easy to update, and you can lay reports/worksheets out exactly the way you want.If you set-up an easy-to-follow template, you can even ask your players to take turns and update their data for you before, during, or after the game. A huge time saver! I like this method for stat tracking as cards are highly accessible, portable, and low-tech. Create one card for each PC. Use Post-It Notes on cards for frequently updated/erased data, such as hit points, if you track those. Give players their card for updating when they’re not busy to keep your data fairly fresh. Lately, I’ve wondered about the use of cardstock. Several experiments at using regular paper folded up have been successful. I’ve always found printing on cards tricky. I use 5″ x 8″ cards normally, so a letter-sized page folded in half is perfect. This means, for example, I can fold a copied character sheet in half and use it for initiative tracking, quick reference, and note-taking all at the same time. For the usual reasons (sticky, movable, no mess, small and portable, coloured) Post-Its are an awesome way to track character data. Take notes and stick the Post-Its to your screen. Place Post-Its near related tables. For example, place a note with each PC’s armour class to the left of your armour table. Keep a running vertical trail of notes for each PC glued to your screen. Use a clip to keep the first note up as weight and re-use makes the string fall easily after awhile.Keep notes in each string for each PC in the same order so you can read horizontally for a quick party scan. For example, the “offensive stats” note might be the top one, then “defense”, then “health”, then “special equipment”, and so on. This order is the same for all PCs so you can read across for a quick summary. Take notes and stick Post-Its to your copy of the players’ character sheets. Use a different coloured Post-It Note pad for each PC. Don’t peel off the notes. Instead, keep them glued together to make a mini-reference book for each PC. Hand idle players their “books” for updates during play. Keep secret data between you and the player in their book, starting from the last page. Split new pads of Post-Its in half. You prolly won’t use all the pages anyway, and it keeps half the pad in new condition, ready as a replacement when the old one is too dirty, ratty, or out-of-date. Pre-label various pages to keep things organised and standardized. For example, the top note of each player’s pad is “combat data”, the next is “personality data”, then “history data”, “Buff Configuration #1”, and so on. Track magic items easily. When a PC picks up a special piece of equipment or treasure, dedicate a new page in their pad for it so the player can note new attributes or abilities as they’re discovered. Put velcro on the back. This is guaranteed to nominate you as the nerdiest GM in your city. You can get velcro cheap from craft stores. Glue a chunk to the back of each player’s pad and another chunk to your screen. Pads are usually too heavy to stay mounted to a screen, and frequent re-sticking causes loss of stickiness. Velcro lets you stick pads firmly to your screen, out of the way yet accessible, for months and months. Ask players to provide you with a copy at the beginning of each session to save you time and to ensure freshness. If not all players can provide you with regular copies, don’t go with an “all or nothing” approach and skip the idea–get what sheets you can as often as you can. Consider faxing. Players often have fax access. Legibility might be an issue though. Consider designing or finding character sheets where frequently updated information is all placed on the same page. History, personality, appearance, and similar information that doesn’t change often can be put on separate pages to help reduce copy-job sizes. I’ve found copied character sheets are great back-ups in case a player forgets his original or can’t make it to a session. Getting a fresh copy every couple of sessions or so minimises reconstruction time. Software can make updates fast and easy! It also ensures character data adheres to game rules to the extent that the software supports it. Between games: import. Players can make updates between games and send you their character files for import into your software. Between games: input. Players can email you what’s changed with their PCs and you can do the data entry fairly quickly yourself. This method also helps you track what’s changed easily rather than having to figure it out yourself. During games. You and/or the players can update character data changes easily during games if you have a computer near the table. You can let the players sit at the computer when they’re not busy to do the updates themselves, or you can take periodic polls and update things yourself. If you have any other PC software links for various game systems, please send them along! There are a few web sites out there that allow you to input and store PC data for various game systems. The benefit of this is that you have a centralized source of PC data for your campaign. Players can login and make character updates as often as they like and you can browse these, print them, and modify them as well.Character sheet sites are also handy if a player forgets their character sheet (assuming you have a net connection at the game location). A player who’s forgotten their PC can print or transcribe their character. If you and your players have access to a file server and you know HTML, then you can create your own online character sheets. If you know of any other online character sheets, please send them my way. Thanks! “You should be a human fighter; that way you can get the experience necessary to be able to understand how to use the other classes and races when you decide to switch.”When faced with having to spend hours and hours learning all the rules and nuances, deciding that the experience will do you good sounds like a reasonable step. I have a different take on this.I am, like many people, the kind of person who will only learn something if I am interested. And I am more than likely to loose interest if I choose to pursue what is safe. My first question is always, “When the master bard of the kingdom sings my praises, what do I wish to have told?”. This my view of the greatest step that a player will take in determining what kind of character is best for their view of a fun and enjoyable game. Many will say that they want to lurk in the shadows and strike swiftly to bring a decisive end to the enemy, then disappear without a trace before the guards come. Many will say that they wish to call forth the power of the great ancients and blast the “bejesus” out of the foe ’till nothing is left but a large smoldering crater, where once stood a force to be reckoned with. The key in creating a character you “want” to run, develop, and see through till the end is determined by looking at the end and working your way back.Stories are never about where you end up, but how you get there. So too, characters are about striving for a goal. As long as you stay within the rules, GMs won’t stand in the way of a character playing what they choose. Nor should a player back away from their wishes because the game is missing a Cleric. And, though there are two or more of a class in the party already, this doesn’t mean that they are cut of the same cloth and that you can’t shine from under the great number of Clerics.Feats, weapons, and skills give limitless possibilities to PC potential, so you should follow your own wishes, not what fills in the blanks according to a preconceived notion. The first step is to pick out a power, a weapon, or ability that you think would be the most effect way to accomplish your goals. Whether by sword, silver tongue, arrow, or magic, each has its own limitless power. Understanding the full potential of that ability will keep you involved long after you have gotten mired in the details and need to call upon your patience to carry the character to its end. More to the point, starting from the end will give you the context to understand the game rules and tools to determine how to use them to benefit the character and the party–much like a player realizes that he can escape a creature because he can seal it in a sanctuary, though the spell’s intent is to protect that player from harm by that very creature. When you understand what you can do, you also understand what you can’t do. Most of the rules work this way, so you gain a great amount of knowledge by knowing your own character. Now that you have decided what you want to be, pick the feats needed to bring out the wonder and awe of this chosen specialty. Locate the feats that you want without regard of rules or level progression. By looking from this point back, you will see the possibilities of all the classes and how they can maximize the potential of your vision.Wizards are not always the greatest foe in magic, and Clerics are not always the greatest defenders of the party’s life. Just because the name says that it focuses on that ability, doesn’t mean that it is the right choice for your vision. A sword wielding rogue is just a lethal as a fighter with the right focus, as a Druid is just as powerful a healer as a Cleric with the right care.In truth, once you take away the stigma of picking a character first, the daunting task of choosing the right class becomes simple. Never be afraid to multi-class. This is a great freedom to bring out unique characters that will surprise and enthrall all gamers. Once you know what requirements are necessary to get the character that you always wanted to play, roll or apply the ability points necessary to be able to have those feats. Remember that you can get additional ability points in the game if your scores are not what you had hoped through level bonuses or magic items. This will also get you to look to smart fighters, dexterous clerics, wise rogues. When you stop looking at making a stereotypical class, you will see that taking chances has great benefits. A Mage that focuses on touch attacks, a Cleric that grapples, a Fighter that intimidates everyone to surrender are all extremely effective offensive abilities. Now pick the class and race that will best suit your ideal. As you look through the skill progression lists, you may start to look at the Bard in a new light, or see that a Druid has much more promise than you would have thought now that you know what to look for. Figure out how you are going to get where you are headed and plan for it. This will save you an incredible amount of time and suffering when you look ahead. Prioritize your feats. Remember, it takes time to get where you want to go, and the GM will almost always do what they can to help you get there. Pick the skills that will best serve your character. Make sure your character is capable of tumbling into a battle if they wish to use touch attacks. If you need to sneak up to flank, don’t forget to make sure your character can do it. If tracking is very useful to make the best of your chosen path, place some ability in it. Never be afraid of forgoing certain abilities you have no intent of using. Mastery in a specific ability usually makes up for the lack in another area. As proof, try sneaking up on a blindman. Finally, use your resources to get what you need to start out your character. Remember where you are headed and place this on the top of your list. You only get to start once with this character, so make sure that you have everything that you need. Even though you think that you will be heading in a certain direction, things change and the story will take you places where you wouldn’t expect to go. Don’t forget to carry the basics, a length of rope, a bed roll, a blanket, food, and water. You may or may not start out at a high level, but as long as you know where you are going with your character, the game will be enjoyable and you will be able to focus on playing instead of trying to make up for GM curve balls. Depending on what level you start out as, pick the most necessary feats and skills to be useful to the party. Make sure, that when all else fails, you can get the party out of harms way by “hook or crook”. At 1st level you will not see this, but by each progressive level this will be an all too true reality, as the GM sends more difficult challenges and higher stakes obstacles to thwart the players. No one wants to see the party die off, but you hold their lives in your hands, so be careful not to put off powerful skills and feats till later because that is how they fall in the alphabet. And finally, now that you know what you want, and have a outline of what the character can do, explain why. Don’t be afraid to explain the lacking qualities as well. You had to do something to know what you do, and how you got where you are. It is a story in itself, and can come out in game play to add color and depth to what in lesser hands is nothing but an arena game. Remember, play your character as you would enjoy, not what will get you by. No one ever enjoyed living off of Raman noodles, but you always reflect on that perfect dinner at that seedy restaurant in the worst part of town after you got lost for an hour on the unmarked streets of Hoboken. When all else fails and you have no idea where to start, or what you are looking at, search the Internet and find a completed character to read over and familiarize yourself with. If you need help, there are web sites and people who will help you understand how to play, where to play, where to get rules, character sheets, and access to observe games that are underway. There are programs out there like PCGen and Etools that will build the character for you so you can familiarize yourself with the effects of the choices that you make. And, most importantly, when all else fails, when the world is dark and cold, when the sun promises never to shine again, when the monster can be heard clunking around in your closet waiting for you to fall asleep, just ask the nearest person you can find. Everyone who has ever laid eyes on an RPG has, at one point, known nothing and been in the same position. I will be the first to stand up and explain what I can to help. I know that everyone that plays in any kind of RPG will do the same as well. RPGs are about community–people gathering together and having fun with a game where we can do anything our imagination can come up with to tell the most vivid story we can. I ran a running battle a few years ago in a D&D game. It was based loosely on the carriage chase scene from the movie “The Musketeer.” If you make heavy use of minis, as my group does, this tip should work for you.First: get some obstacles and terrain. Even if it’s just paper printouts like they use in Mage Knight and D&D miniature battles. Your group prolly has some lying around, and if not, they are easy enough to find on the net. Get a good selection: large rocks, trees, bushes, perhaps a creek.Second: don’t move the PCs, move the terrain. Let the terrain move around them, simulating them leaving the terrain behind as they make progress.Third: come up with a ‘hazard table’ to represent more terrain coming up. Roll, move old terrain, introduce new terrain.Of course, the PCs may rearrange themselves if they like, and may even stop. But, if they are all in motion, it’s best to just slide the terrain backwards by whatever speed they are travelling and leave the PCs in the center of the battlemat for ease of play. I just wanted to pass a bit of information that we have found useful in epic battles with lots of cannon fodder.Invest $10 in coins–pennies, nickels and dimes. I recommend that a GM has on hand a bowl of about 300 pennies ($3), at least 40 nickels ($2), and 50 dimes ($5). Preferably, wash the money first.Now you have hundreds of units if needed. The PCs still use their figures and some of the more powerful NPCs get their own figures as well, but the ‘troops’ can be represented by coinage for the poor GM. Although many gamers like to stack a miniature upon a 6-sided die for instance, I highly discourage it. Instead, placing a figure on a nickel shows which characters are flying as well as ensures that if the figure falls over on the table, the miniature itself won’t get damaged.Beyond cannon fodder units, coins can also represent trees in the environment (assuming the table stays fairly stable). The best use has to do with items that can possibly move in the environment, such as carts, animals, birds, or even large boulders that may be setting high above as an ambush awaiting to roll down the hillside. Walls and fortifications can also be represented by lining up a coin for every 10 feet of wall, especially in situations when it is likely part of the wall will crumble. This way, it makes it easy to take away part of the wall and even show where the debris is left without having to take an eraser to the graph paper. In rare cases, coins can actually represent true gold pieces or treasure hordes to lure the players into wanting to investigate what they see. When sessions begin, I start with the phrase, “When last we saw our heroes…” I do this with quite a bit of force, as it serves to both gather attention and set a dramatic tone. I borrowed the device from the old Batman series with Adam West, and it works very well. The crucial thing to this is I then follow it by getting the players to tell me what happened the last session, bringing them up to where we left it. This helps get them into the mood to game, and into character. Board, LARP, and Computer Gaming.